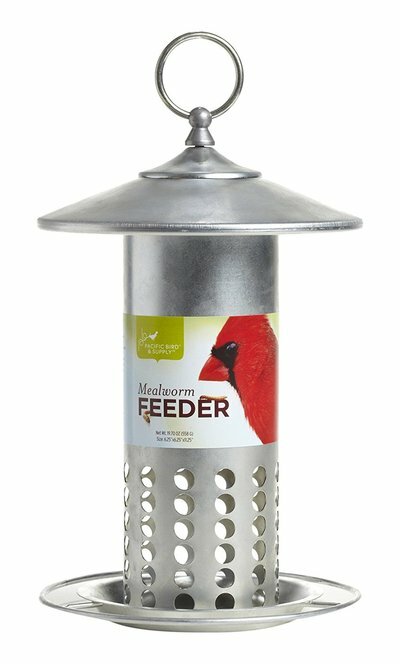 If you really want to instantly attract larger birds such as cardinals and blue jays (and many more depending on where you live) then add meal worms to any bird food and use a bird feeder tray and watch them flock. Most birds will enjoy this special treat especially bluebirds but large birds can't resist! 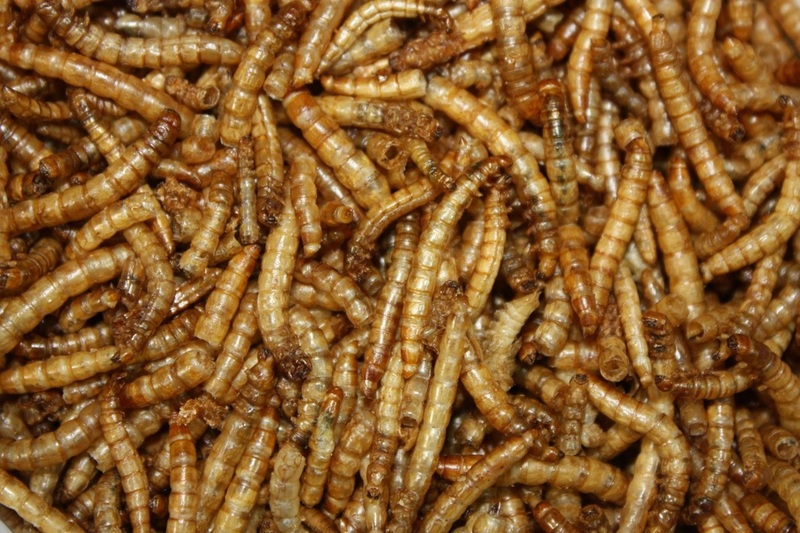 Dried Meal worms can be purchase in many bird supply stores, but you can also get them online at Amazon for a good price (just click the above pictures to find out more). You can also get live meal worms if you prefer. But for backyard bird feeders the dried meal worms are enjoyed just as much and much easier to store! You can either make your own homemade bird food, or you can simply take store bought bird food and add a handful of these dried meal worms to the mix. Robins love them in addition to the worms they find. 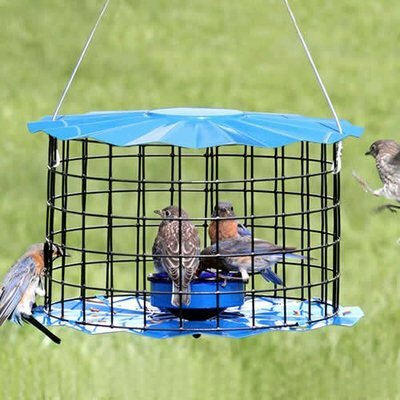 Using an open wild bird feeder tray style feeder is the fastest way to attract them, but you can also get specially designed meal worm feeding stations or multi-food feeding stations almost like a buffet style for your fine feathered friends such as the one pictured below. The above meal work station is like the deluxe model. This will definitely attract many birds to your yard! Just click on the pictures to find out more. Shopping online, especially for bird supplies, can be more affordable and you simply have more options to choose from! 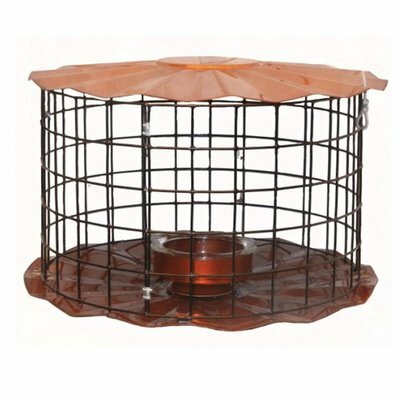 These feeders have bowls in the middle designed for meal worms and grubs. 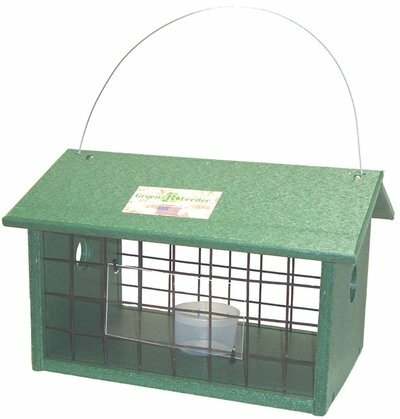 This keeps the larger animals out so the birds can enjoy these special treats. As you can see in the above picture, the little birds simply fit right inside the feeder so they can munch on this special treat. It keeps the squirrels and other critters out. If you really want to attract many different birds, using meal worms to get started is the perfect way.